copic oz: A BLOG HOP FOR THE NEW SHADOWS & SHADING BOOK! Today the Copic Instructors in the US and Australia are doing a Blog Hop!!! We are excited to announce that Marianne Walker's new book called Shadows and Shading is now available. 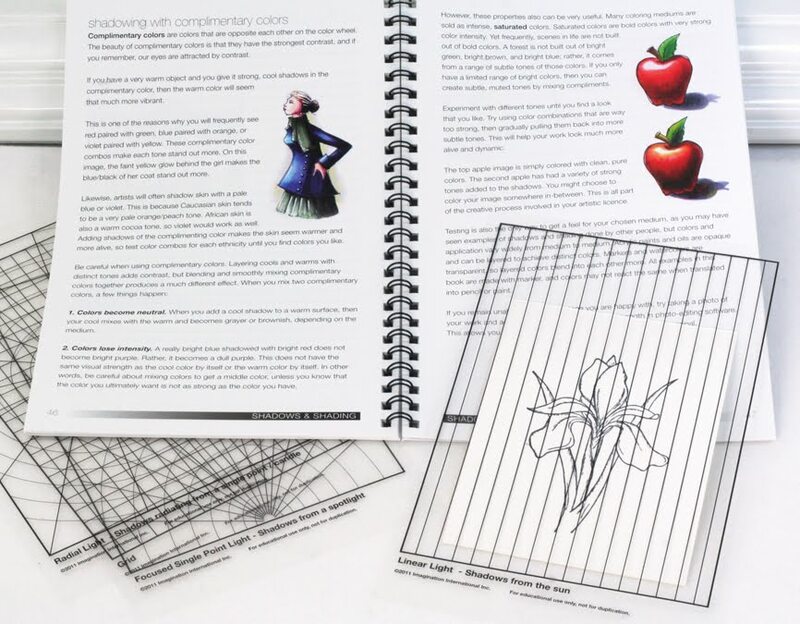 This Shadows and Shading Book is designed for people who want to understand the basic rules of light when colouring, whether they draw their own art or not! This beginner's guide covers many kinds of light, the differences between shading and cast shadows, how to colour a variety of objects, and shadow colour theory. 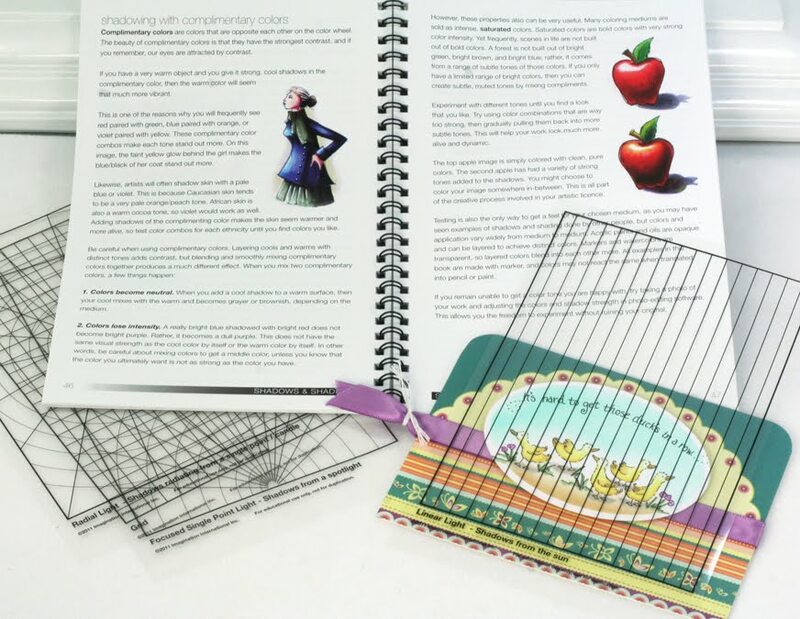 Designed for beginners, either papercrafters or artists - this is a wire-bound book that comes with 4 clear printed guides to help you add shadows properly on your own work. A Blog Hop wouldn't be as much fun without BLOG CANDY!!! Today each and every blog will be giving away a copy to a lucky commenter!! That's right, leave a comment and you'll be in with a chance to win this fabulous book!! If you are an Aussie or Kiwi - you can win on either the Mandi's Blog, Kathy's blog or right here on COPIC OZ!! You have until Sunday 6pm AEST to comment on this blog. The winner will be announced on Monday morning Australian time. If you are in North America, comment on the Copicmarker site or one of the following instructor's blogs! 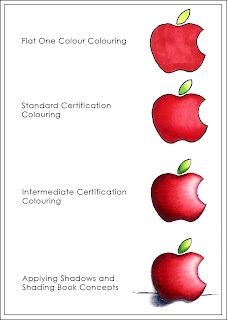 **Here is a sample of how my colouring has changed with the help of Intermediate certification and the Shadows and Shading Book. As a newbee to copics this book would sure be a help- I only have about a dozen markers as yet. This book would be great to have to learn this technique. I would love this book, still learning all about copic's, and love them to bits! Fantastic! I too would love a copy of the book, I am just conquering how to blend properly so I need all the help I can get. Just love my copics. This book looks like just what I need to continue learning artistic techniques with Copics! Marianne is so talented. Thanks for the chance to win a copy of this awesome book!! Would love to learn how to give a bit of depth to my creations. I would love to win this book for my teenage grandson. We bought him a heap of Copics for Christmas, and he is having a great time with his artwork, but needs some guidance about the shading. The book is a wonderful idea. Thanks. oh what a great book good luck everyone! for us who would like to purchase one where can we buy it???? Ooooh How fabulous does this book look....I want one...hehe! The one thing that I still struggle with is light and shadows, so I am very excited to get my hands on this book! Ohhhh - I wanty! I'd love a read. Thanks for the chance to win. I heard about this book at the Project course a couple of weeks ago. Sure would love to win it, but if not, I'll be buying it anyway. Bring it on! Thak you for the chance to own one. I'd love a copy of this book! Thanks for the chance to win. Oh my, this looks like a fabulous book - a "must-have" for colouring techniques. Thanks for the chance to win! 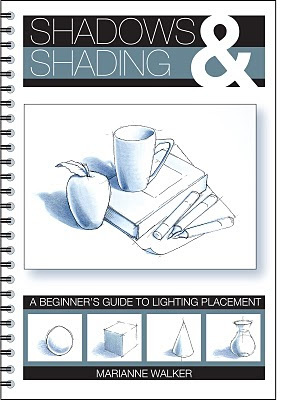 I desperately need help with my light & shade, would love to win this book. what a fabulous book - looking forward to getting hold of a copy! This is exactly the sort of instruction I need. My light source tends to change around and the shading can look a little odd. I saw that book in stock at my favourite Copic stockist (Lime Tart) - thanks so much for the chance to win! Faaantastic! I have 98 Copics currently gatherig dust - due to my lack of confidence in using them. This book appears to be the perfect solution in boosting my confidence level and potential. Great idea for the consumer and manufacturer - win/win! This book looks fabulous, and just what I need! Thanks for the chance to win! This is a definite must for my Copic Collection. Wow! 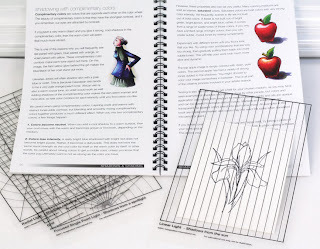 I am so happy to have discovered this site and even more excited to be able to get shadowing tutorials from this awesome new book - my own attempts so far have revealed how much I need some good technical help! It would be wonderful to own this book. I have so much yet to learn about using the Copic markers and shading etc. Wonderful !! I am still struggling with my Copics and I could use a little help....This book would be amazing ! Thanks for the chance to win it . Love from Holland , Christa. Copics will be a very interesting to do my building renders (i am an architecture student). My tutors are constantly asking for creative ways to present work, so this would help heaps! I desperately need this book as I live in "Copic Isolation" - pretty please!! OH WOW. I REALLY 'NEED' THIS BOOK. FINGERS AND TOES CROSSED, BUT EITHER WAY, THANKS FOR THE CHANCE TO WIN IT. I am in NA (Canada)so I am not eligible for the Aus. draw but I had to stop by and see your blogs. What an amazing difference to see the change up in colouring techniques. Beautiful! Since I first read about this book coming out I said, I need this book, I need all the help I can get. Thanks for the chance to win one. I am new to copics and they sure look lovely sitting on my desk. I just need to learn how to use them effectively. Thanks for the chance to win a copy of this book...it would be an invaluable resource. I am just getting started with copic colouring so I need all the help I can get and this book looks like it has it all. I do hope I win!!! I'm still new to the Copic scene, and wanting to learn more. Despite having attended a class, I'm still not confident using them, so any help is appreciated. Would love to win a copy of the book, saw it on Mariane Walkers blog and hoped we would get it in OZ. Thanks for opportunity. This would be a wonderful book to win - help is always needed shading & shadows, well certainly for me anyway! It looks extremely helpful. Thanks for the chance. This looks great, what an awsome addition to my Copics, can't wait to have a look and play, thanks for a chance to win one!!! 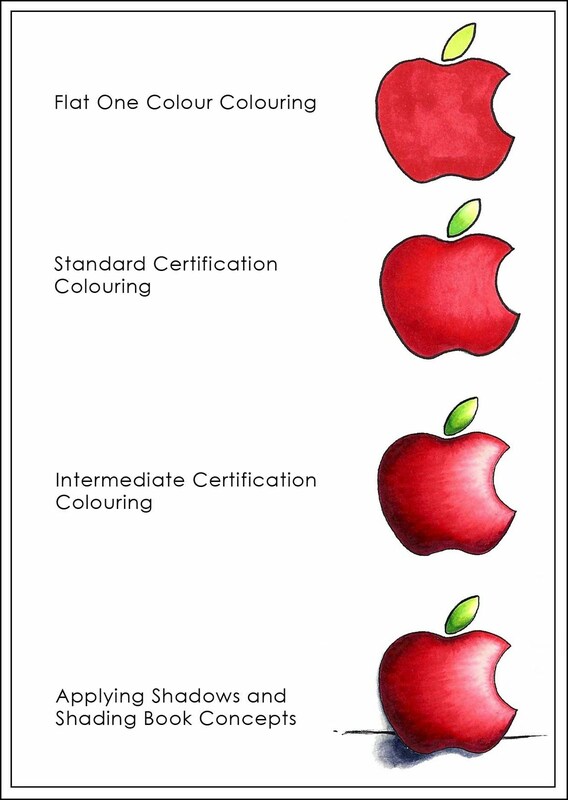 That is your learning, I can see much better each apple has gotten amazin! I need this book so Bad!! Just the tool to add the professional touch we are all looking for. Definitly on my wish list! This looks like an awesome book to own. I love my copics and am always looking for ways to improve. Thanks for the chance to win. Where can we buy it in OZ???? The book looks wonderful and if I can't win it, I really NEED to buy it!